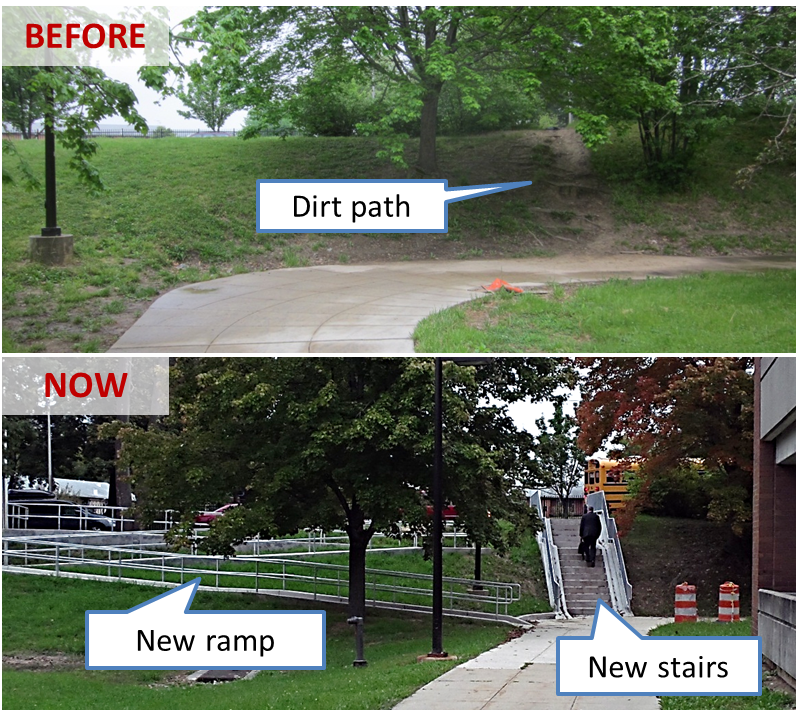 Also on the east side of the station, a new set of stairs and an accessible ramp replace a steep dirt path. The new stairs include a “stairchannel” for bicycles on both sides, similar to the stairchannel at Rhode Island Avenue station. The video and image below shows how it is designed to work, and the purpose is to make it easier and safer to for bicycles to maneuver within the station. We are still exploring different designs for these stairchannels, so we’d love to hear what you think. Have you tried the stairs? What do you think of the design? 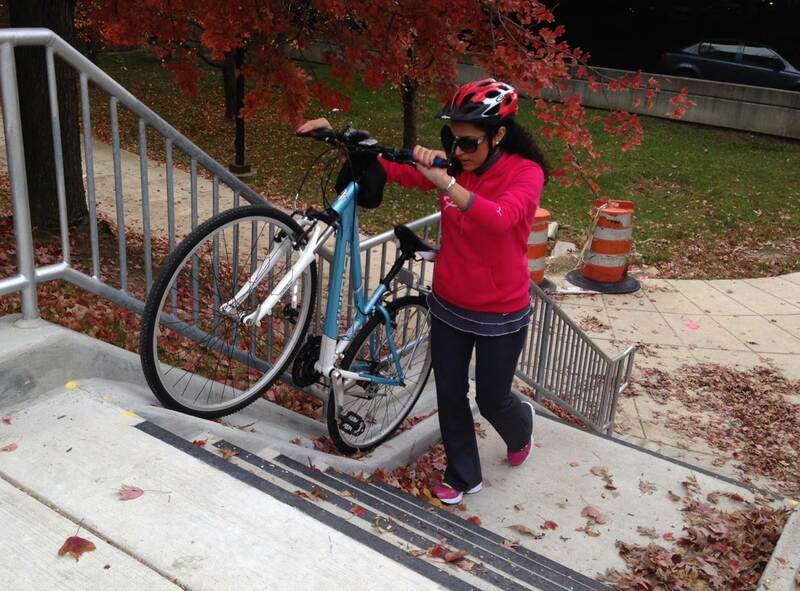 New stairchannel designed to help bicyclists bring their bike up and down stairs at Glenmont station. Metro is exploring designs for this kind of facility. What do you think? Great change that, while minimal and not costly, really makes for a better station for those not using cars. Never seen a bike channel before, but now that I know they exist I’ll have to think of other places where they would be useful. What’s the status of the bike corrals? Having tried many stair channels, the most common problem that I see is that they’re too narrow. These look to be the right width, although I haven’t had a chance to try them out yet. Prioritizing biking and walking to stations is a no brainer. However, it seems that many bikeshare stations are located outside of WMATA property, where there are harder to see and take longer to get to. Why doesn’t WMATA work with Capital Bikeshare to place bike share stations immediately outside of Metrorail station entrances? Quicker transfers between modes -> more people riding bikes -> fewer parking spaces needed + higher ridership. Win win win! PERVIOUS PAVERS IN THE FUTURE PLEASE. We are working with Capital Bikeshare and you will be seeing them pop up at our Metro Stations soon!